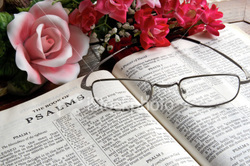 Devotionals & Prayers - Holy Ghost Triple Portion Ministries, Inc.
We all have constant demands on our time, and sometimes it can be hard to remember to put God first. Devotionals contain advice on how to keep Jesus at the center of our busy lives and how to live according to the principles He taught. Devotionals look at a passage of scripture and study what it means for us today along with practical ways to apply it in our own lives. No matter what the topic, every devotional has one simple goal - bringing you closer to Jesus. Jeremiah 29:11: " For I know the thoughts that I think toward you , saith the Lord, thoughts of peace , and not of evil, to give you an expected end." In all our lives there comes a time when only God's Help can turn the course of our confusion and fear and bring us peace and reassurance that our situation will not remain as it is and his love for us promises hope. 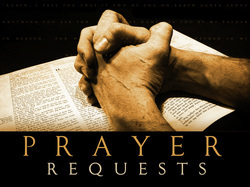 We believe that prayer changes things and our desire to pray for you is the center of our ministry. Anytime you find yourself in need of other's prayers, simply feel free to use our request form below and share your matter with us. Your needs will be brought before God with Love and and the utmost Confidentiality. Our Salvation is through the Blood of Jesus. God's simple plan of salvation is for every one who believes. Every person needs to be saved. Acknowledge that you are a sinner. "For all have sinned and come short of the glory of God." - - Romans 3:23. No one can save themselves. Our salvation is through the Blood of Jesus. "If we confess our sins, He is faithful and just to forgive us our sins and to cleanse us from all unrighteousness." - - I John 1:9. "If thou shall confess with they mouth the Lord Jesus and shall believe in thine heart that God raised Him from the dead, thou shall be saved." - - Romans 10:9. "Repent ye therefore and be converted that your sins may be blotted out." - - Acts 3:19. We need a substitute to pay the price of sin for us. God sent His Son. "For God so loved the world, that He gave His only begotten Son, that whosoever believeth in Him should not perish, but have everlasting life." - - John 3:16. "This is the work of God, that ye believe on Him whom He hath sent." - - John 6:29. Jesus is the only way of salvation. "Neither is there salvation in any other; For there is none other name under heaven given among men whereby ye must be saved." - - Acts 4:12. From your heart, ask the Lord to save you. "For whosoever shall call upon the name of the Lord shall be saved." - - Romans 10:13. "God be merciful to me, a sinner." - - Luke 18:13. Read the Word of God. "Study to show thyself approved unto God" - - II Timothy 2:15. Pray daily. "Men ought always to pray and not faint". Join and attend a bible believing Church like Holy Ghost Triple Portion Ministries, Inc. where the Word of God is being taught and preached. "Not forsaking the assembling of yourselves together" - - Hebrews 10:25.